—Can you talk about how you ended up with the source of this material? Yeah, Moonlight began as a play by Tarell McCraney, who I didn’t know at the time,called “In Moonlight Black Boys Look Blue”. And both Tarell and I are a part of this arts collective in Miami called The Borscht Collective or Borscht Film Festival. And Tarell gave the play to Andrew Hevia and Lucas Leva. And when it came to me, I was told, “This isn’t about you, but it is about you.” And when I read it, I understood exactly what they meant. There’s a certain biographical element of my life and Tarell’s life that just perfectly overlap. I mean, physically we lived like pretty much on the same block, went to some of the same schools,and both our mothers went through the drug addiction so viscerally depicted by Naomie Harris in the film. — Speaking of Naomie, she’s obviously the only actor in all three sections. Can you talk about how you worked together to develop the character? Yeah, the character was on the page. It was definitely in the script. And I felt like we needed something that could ground the audience in the piece. I knew that we were going to have different actors for everyone else, but Paula in all of the three stories. And I felt like we needed something that was a “control”,almost like a science experiment, that was a control in the equation. And that control was going to be this character, Paula.And Naomie was great. In the beginning, she was resistant to the part, and I understand why. Paula is a very dark character,and she didn’t want to put an image into the world that wasn’t positive. But over the course of talking with her after we cast her and really sort of breaking down my relationship to the character, which involved my relationship to my actual mother,she saw a place where she could empathize in a very genuine way with someone who succumbs to addiction. She got to the point where she wasn’t playing an addict. She was playing a character who becomes addicted.And I think once we got to that place, and Naomie went off and did her own research on this particular form of addiction from a particular time that Tarell and I grew up, she really just kind of sunk her teeth into it. — What about the casting of Chiron? What was it about those actors that they had the characteristics that you felt made them perfect to play the role? Yeah, I knew that I didn’t want the same actor to play all three characters.One, we just couldn’t afford it. It would have just been too much. But I also thought part of the point of the film was to show how radically altered a person can become when they succumb to the pressures of environment; the pressures of the expectations the world has placed upon them. And so I was looking for three different people who had the same feeling. I wasn’t really looking for three actors who looked alike or sounded alike. It was more about a feeling. And to me, that feeling was rooted in their eyes. I’m a big fan of Walter Murch’s book “In a Blink of an Eye”, and he talks all about the eyes being the window into the soul. And I thought if I could find three actors who had the same or very similar souls, that you could “buy” that the world had changed them on the exterior, but within themselves, in the interior, and the window into that was through their eyes, you would see that it was the same person. And that was how we approached it, and we cast Ashton Sanders as Chiron first. He was the first person we saw for that part. And we saw him quite a few times after it because I was trying to do these chemistry reads with him and between Kevin. But then I quickly realized that that wasn’t the point. The chemistry between those two characters wasn’t the point as far as the casting process went. We had to have three Kevins who felt the same and three Chiron’s who felt the same. And the only time that that process was radically altered was when Trevante Rhodes came in, who actually came in to audition for Kevin, which was played brilliantly by Andre Holland. And I can’t imagine Trevante playing Kevin and I can’t imagine Andre playing Black. But when Trevante came in, he was just such a jarring physical image; someone who looked so hyper masculine, and yet the vulnerability of the character was still within his eyes. And Trevante literally changed what I thought was physically possible with that character because when you first see him, it’s just such a distinct leap from the character who comes before – the physical representation of that character. But again, I felt like in his eyes, you could still see those boys who had been in the previous chapters. And so once Trevante came in, I really honed in on what it was we were looking for, and then we just cast everyone else from there. Yeah, for me, again, they were… it’s the same character but he’s become a different person. And so we all cast different people to play this character. And I didn’t want them to mimic one another. I didn’t want them to know, “I’m doing it this way so you do it that way.” I didn’t want them to try to align things. I didn’t want them to also try to take these steps to make sure their performances were distinct. To me, the world is such an aggressive place. You know, this is like soft aggression. There’s this term called “soft power.” The US is a country that has a lot of soft power because our images are spread so far around the world. I think within American society, soft power affects us greatly. I think it teaches boys, “This is how you walk.” “This is how you speak to women.” “This is how you treat other men.” And it’s all about this idea of having to fortify your masculinity so someone doesn’t take it from you, which is a very antiquated notion. And I wanted to show the progression of this character “in a way that could speak to that physically, like visually, when these characters appear on screen.”And I wanted to do the work. I didn’t want them to do the work. I just wanted them to be themselves. — Can you talk to me about the Teresa and Juan character and how they influence Chiron? that a lot of strangers played in my life. — The character Kevin, the actors, have such great chemistry with Chiron. If you guys (didn’t rehearse), how did you develop that relationship? Maybe it was naive, and maybe this naivete yielded luck, but again, we just didn’t have any time for rehearsal. And just like I made it a point for the Chirons not to meet, I made it a point for the adult Kevins not to meet. he young Kevins and Chirons are best friends. They go to school together. Ashton and Jharelle, they hung out in Miami. They got there early before their work started. I didn’t want Andre and Trevante to meet because you have two character who are reconnecting after ten years apart. I didn’t want Andre and Trevante to meet because you have two character who are reconnecting after ten years apart. And I think over the course of those ten years, they’ve both become very different people. And so I thought it would be best if they did not meet. I wanted the energy and the awkwardness and the tension of seeing someone who you’ve grown apart from, and who you have to relearn when you meet them again. So they didn’t meet and my hope, which I think bore fruit, was that they’re both such charismatic human beings that we could take that charisma, bottle it up at first and then slowly unleash it and reveal it as these guys got to know each other over the course of working together. You watch the film and that’s more or less exactly what happens. And I also give just amazing credit to Andre and Trevante or being so comfortable in those skins, and having such passion for the material and the characters fthat they overcame not having rehearsals. They overcame this little disconnect of not knowing someone, but I think that “not knowing” is fully baked into the characters they’re portraying. People keep talking about this scene in the diner, which I love because it’s not a scene. It’s a sequence. But people would just run it all together because once that moment happens where these two guys reconnect, you’re kind of just in with them. And that only happens when you have actors who are fully committed the way these guys were. — So I want to get into talking about Miami. It’s such a character in the film. Can you talk about what was important to capture? Yeah, this movie could’ve taken place in many places. We could’ve gone to New Orleans; we could’ve gone to Atlanta. And I mention those places because with tax rebates, our budget could’ve gone quite a bit farther. But it was really important to me and important to Tarell that the piece be set where we’re from. There are so many biographical elements in this movie, and the only way I could see them being represented in their most authentic form was to place them against the backdrop that inspired them, which was Miami. 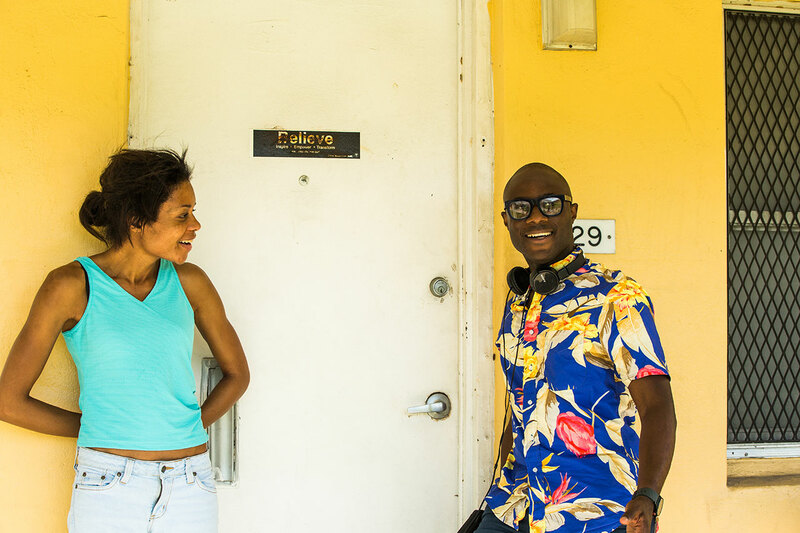 Tarell describes Miami as “a beautiful nightmare.”And when he says that, I think what he means is Miami is a very rough place, and yet you’re always surrounded by and always aware of the beauty; the natural beauty of your environment. And I think to set this film anywhere else, I think we would’ve lost some of the energy; the juxtaposition of the roughness of the life that we lived there, but also just the – I don’t even know what the word for it is – the “cruelty” of how beautiful the setting of that rough life was lived in. And I also think, too, there were some things about the adaptation of Tarell’s piece… like the craft element of it, that was inspired by my relationship to Miami. So going there to make the film was therapeutic for me, like emotionally. But it was also invigorating to take my memories and put them on the screen in a way that I felt like was very truthful and respectful to the life I lived there. The visual style goes back to this idea that Tarell had taken like a memory of my memory and placed it into a dream state. James and I, James Laxton the cinematographer and I, we said from the very beginning, “This is not neo-realism. And it’s not miserabilism despite the fact that we’re dealing with sort of heavy subject matter in a very quiet, sort of like patient, sort of like story form. We wanted the imagery to spring forth from the place, which I’ve already said is just a gorgeous city full of natural beauty and glistening skin and all these things.We wanted to lean into those things, but we also wanted to have the freedom, when inspired by the character, to do things that were a bit unorthodox or that seemed counter-intuitive to a story that has the gravitas that Moonlight does; that Tarell’s play does. 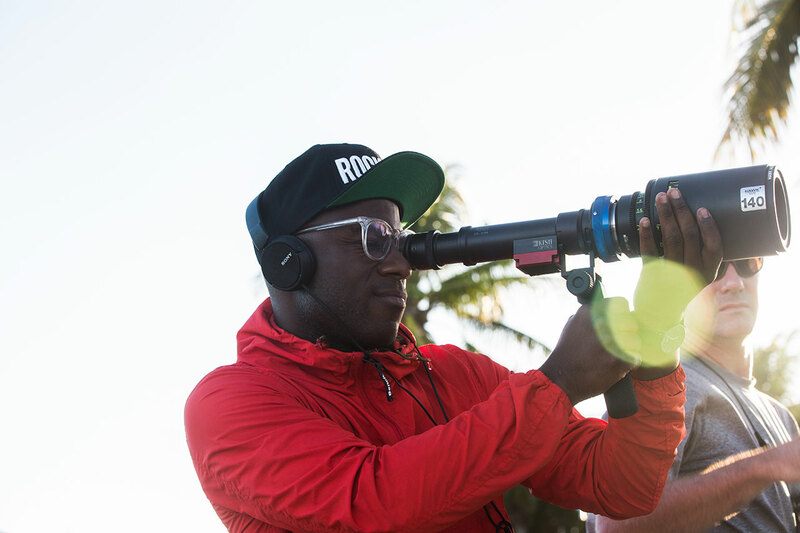 So we tried to be very nimble and thoughtful about it but we wanted to make a very immersive film. So there were certain times where we’re taking the camera and, rather than allowing the audience to remain outside the film, we placed the camera between actors; between characters because we wanted to make the audience an actor-participant and what they’re seeing. We wanted the audience to see what Chiron is seeing; to feel what Chiron is feeling. And between the sound design and the visuals, we tried to find moments where if Chiron was disoriented, the audience is disoriented. If Chiron is hearing something a certain way, the audience is hearing something a certain way. And what ended up happening was the more we allowed ourselves to do that, the more I feel like I got closer to really bringing to life these deep, deep-down, buried memories of what it felt like to grow up in that world. And hopefully, I believe, what Tarell felt like, or what it felt like for Tarell to grow up in that world. — I want to talk about the score. Nick is a mutual friend. Can you talk about what it was like to work with him? It was awesome working with Nick Britell on the score, who I didn’t know of before I began working on Moonlight. Nick had done “The BIg Short” with Plan B and he’d done some work with “12 Years a Slave” also. So the script got to him and he read it, and it’s interesting because I often don’t think the easy solution or the first solution is the right solution. So just because Nick had worked with Plan B, I didn’t think he automatically was going to work on Moonlight. 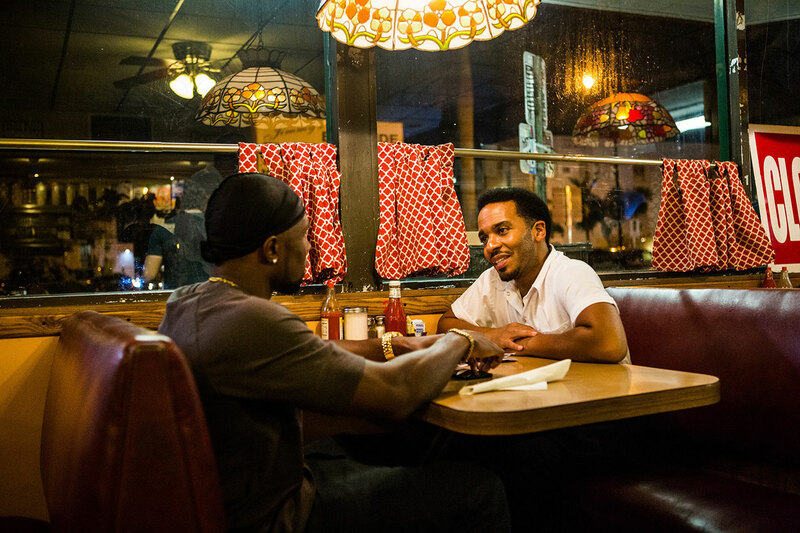 But I remember the first meeting I had with Nick, he had read the script and he gave me a playlist of music, and that playlist was half southern hip-hop and half Classical score.”and half Classical score. It was like Mozart, Bach, Beethoven. “And I thought, “Okay, if this guy is coming at it from this standpoint, I think he understands what I’m trying to do.” Because in the film, most of the music that the source cues are rooted in my experience growing up in this place, there’s a style of music called “Chop and Screwed” where you take hip-hop and you slow it down; you alter the pitch. It thinks it’s becoming hyper masculine because all the voices get much, much deeper, but hip-hop is very fast and so the poetry, the lyricism of hip-hop is usually coming at you at this very quick clip. But Chop and Screwed, all those words are slowed down, and so this yearning this loss and this longing of hip-hop comes to the surface. And so when I told Nick　”Ever heard of this thing called ‘Chop and Screwed’?” He had heard of it. I played some of it and he was like, “Oh, okay. This is really cool.” And before I could even get it out of my mouth, he said, “I think we should chop and screw the orchestra.” Because he knew I wanted orchestral score. It was why I was so into having him involved on the piece. He’s a classically-trained pianist and his wife is like a session player for the New York Philharmonic on cello. And he knows the violinist Tim Feyn who does all the violins in the film. So I knew he would bring that element. But what I was just completely blown away by and really thankful for was I had this phrase where I say: “Instead of bringing the hood to the arthouse, we’re going to bring the arthouse to the hood.” And to me, classical score is this very arthouse sort of form whereas Chop and Screwed is very much hood. And Nick, just as I’m getting into my mind what I thought was appropriate for the piece, Nick of his own will suggested taking the classical orchestra back to the hood. So he chops and screws the score, all these classical pieces. And it’s amazing because as the character retreats into himself, we have these violins and cellos and bass violas that are being chopped and screwed; that are being filtered through this perspective; being filtered through the sound of the hood. And by the time you get to the third story, the difference between what’s classical score and what’s source cue is just completely evaporated. At that point, it’s just the sound of Moonlight. It’s the musical expression of the emotional state of Chiron. And I’m just so pleased with what he did because my filmmaking voice has been nurtured working at these film festivals, watching all this arthouse cinema. But clearly when you watch this film, my personal voice is rooted in the hood. And when you watch the movie, I think the score is one of those places where those two things (arthouse and hood) just dovetail organically and seamlessly. — Why was it important for you to make this film? 1) it had been so long since I last made a film. I needed to do something. And I had been trying to make other films, and those films weren’t personal. Or they weren’t personal enough. And I think when I started this film, I thought, “Oh, this is personal for Tarell and it’s kind of personal for me.” I thought I could hide behind Tarell. But the more I worked on it, the more I realized it was actually deeply personal for me. And I wasn’t going to be allowed to keep myself out of it. And I think the fact that I fully applied myself and I was fully willing to put my story; to blend it with Tarell’s and put it on screen in a way that was selfless and just raw and unfiltered. And it worked. People responded to those things. It was a big lesson. And I think also, I consider myself an “ally” or somebody who empathizes with “the other”; the cause of the LGBTQ community. And I remember when the Supreme Court passed that bill, everybody on Facebook put the rainbow overlay over their profiles, and I thought, “Oh, this is cool. But this is like passive empathy. This is being a passive ally.”And I always considered myself an active ally; someone who “actively” applies empathy. So when I read the story and I knew how the lack of these kinds of characters in arthouse cinema; a black gay kid from the hood. I thought, “Oh man, this is tough. Can this be my second film?” I even consulted a few friends. Some said, “This should definitely not be your second film. You don’t want to do this.” And then I thought, “If I respond to this character the way I have and I believe I am an ally to these issues the way I know I am, to not do it would be a cowardly act.” And so the fact that I very quickly got past that and fully threw myself into this, and the response that has happened so as a result of that, it’s just proof positive of the way I think I need to work going forward, which is issues I care about, stories I care about, characters I love that I do think have a place in the world and are important, and voices that aren’t often hear that need to be heard. And the fact that I did that and it’s worked making this thing with all my friends, it’s like the best thing in the world. 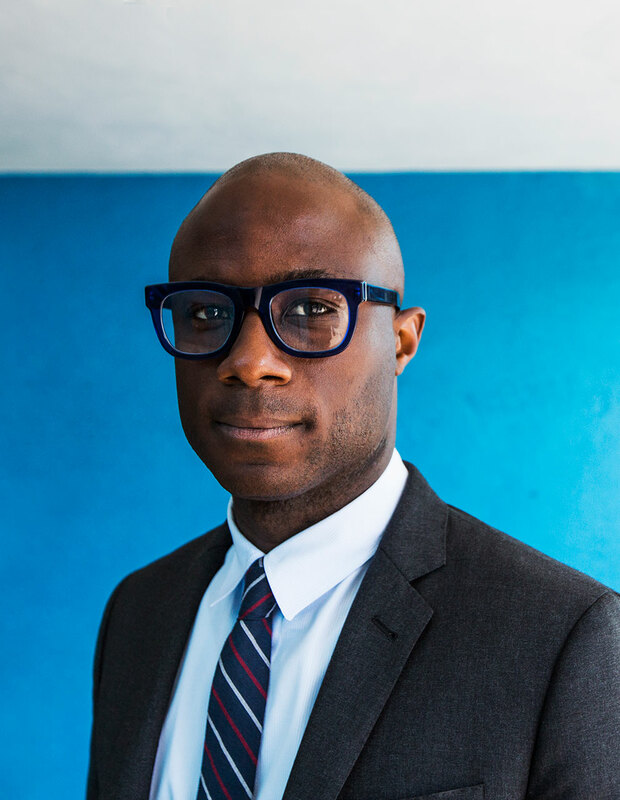 Barry Jenkins was born on November 19, 1979 in Miami, Florida, USA. 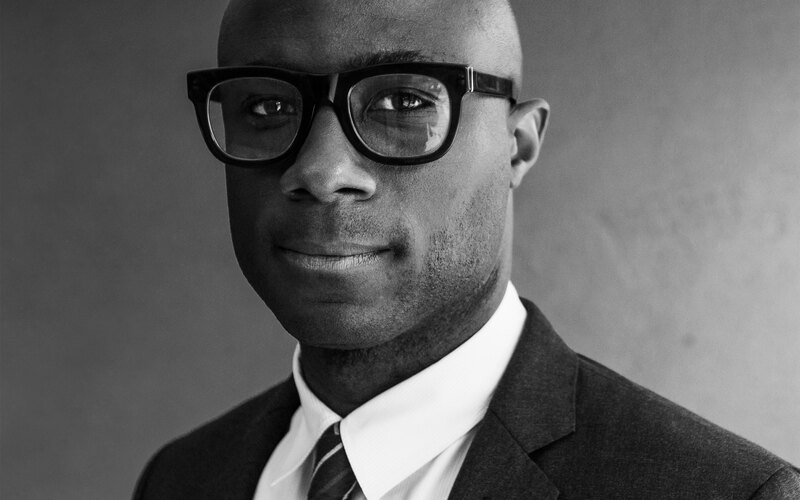 He is a writer and director, known for Moonlight (2016), Medicine for Melancholy (2008) and My Josephine (2003).